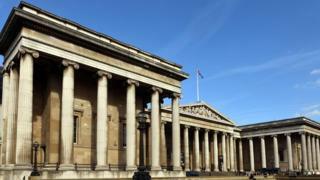 London's British Museum continues to be the most popular visitor attraction in the UK, according to the Association of Leading Visitor Attractions (ALVA). The National Gallery remains the second most visited attraction, while the Southbank Centre - a new member of ALVA - completes the top three. Scottish attractions saw a surge in visitor numbers, thanks in part to the Commonwealth Games in Glasgow. Visitors to Scottish attractions increased by 10% on the previous year. Glasgow's Kelvingrove Art Gallery & Museum saw a 7.5% increase in visitors, the city's Gallery of Modern Art saw an increase of 8.8%, while the Riverside Museum saw a massive increase of 41.8% . There was also a 39% rise in visitors to the Scottish National Gallery, with the landmark exhibition Generation: 25 Year of Contemporary Art in Scotland among the highlights. Edinburgh's National Museum of Scotland remains the most visited free attraction in Scotland, as well as the most visited museum outside London, despite a comparative fall in visitor numbers, attributed to the fact that 10 galleries were closed to the public for redevelopment. The list of the top 10 most visited sites contains only one attraction outside London, with the newly-built Library of Birmingham at number 10. The library, which was completed in 2013, attracted some 2,414,860 visitors ahead of London's British Library, which drew 1,627,599 visits. The library is now making more than half its staff redundant as part of council budget cuts. Edinburgh Castle and Chester Zoo are the only other non-London attractions in the top 20. Museums and Galleries across the UK saw an increase of more than 6% on visitor numbers on the previous year, with Tate Modern welcoming a record 5,785,427 visitors, largely due to its popular Matisse exhibition. But it was London's Imperial War Museum which saw the most significant increase in visitor numbers across the year. Driven by events marking the centenary, the museum's new World War One galleries, which opened in July 2014, saw almost one million visitors in just six months - an 153% increase on the same period in 2013. Bernard Donoghue, director of ALVA, said he was confident the 2015 figures would "rise again with the anticipated increase in overseas visitors this year". He added that membership and Friends schemes also show "Brits are voting for tourism with their feet and wallets". There are three major factors driving these numbers on a seemingly ever-upward curve. Number one is tourism. In many cases the amount of domestic visitors has remained the same or decreased, but not those from overseas who continue to visit Britain in large numbers in a post-Olympics and Commonwealth Games tourism boom. Second is the event culture we live in. Museums and galleries have become masters of the mega-blockbuster: big, once-in-a-lifetime exhibitions like Matisse at Tate Modern or Rembrandt at the National Gallery that become must-see attractions. And thirdly, education. The vast majority of museums and galleries in the UK have developed excellent education departments over the last decade, who help shape the content towards schools and students. No institution is better at this than the British Museum, which attracts a large number of its domestic visits by offering well-packaged displays and exhibitions that tie-in directly to the school curriculum.